HOUSTON (KTRK) -- BNSF says a a train has derailed in Houston's East End. The derailment happened around 1:30pm near Harrisburg Boulevard and Hughes Street. The rail company tells us the locomotive and six rail cars went off the track, but remained upright. BNSF says the rail cars were carrying plastic products and did not spill. The railroad says crews cut the train to so cars could be removed from the area to unblock street crossings. 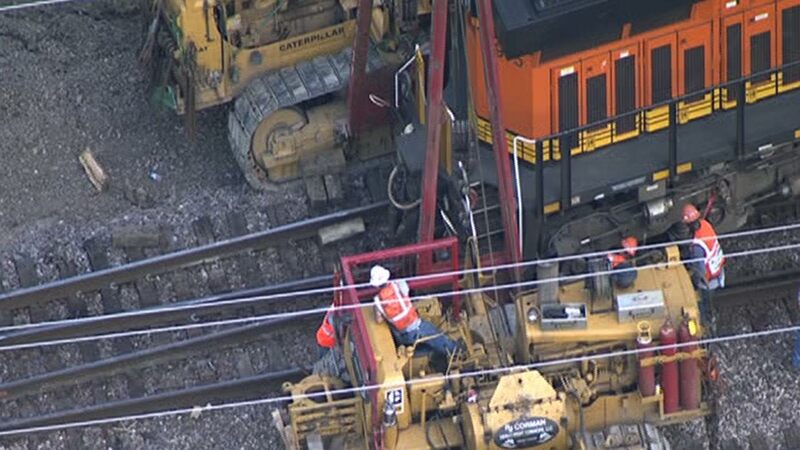 At this time, crews are working to re-rail the train. The work is expected to take at least two hours, according to the railroad. Once the cars are clear, the company says they will inspect and repair any track damage. There's no word on whether anyone was hurt. Stay with Eyewitness News for more information on this story as it becomes available.